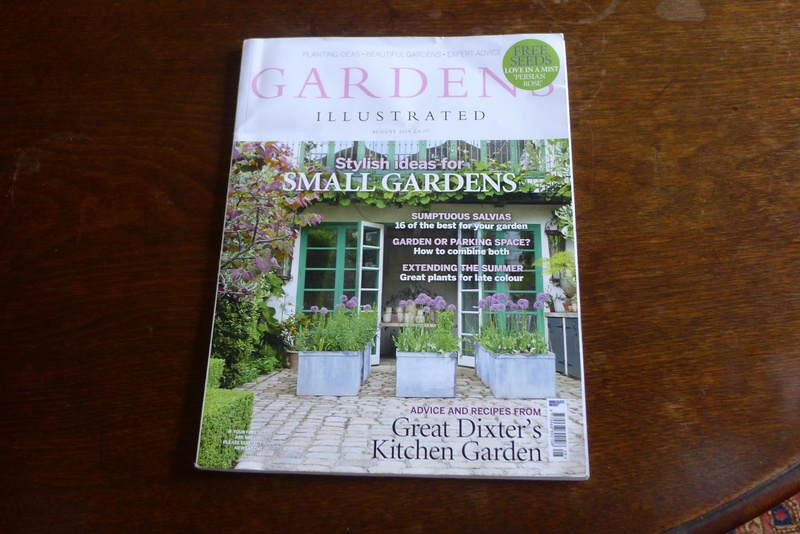 To have a feature in one of the worlds leading Horticultural Magazines is such a big thing for me, the Vegetable Garden and my cooking made it into the August issue of Gardens Illustrated, and eight pages no less. All those winters in the cold and rain, it does remind me that gardening is a great job to have and gives me so much pleasure but is lots of hard work. My time in the US has almost come to an end, and even today I meet a man that had things to teach me about gardening, it is such an interesting world to be a part of, where will Vegetables take me next? 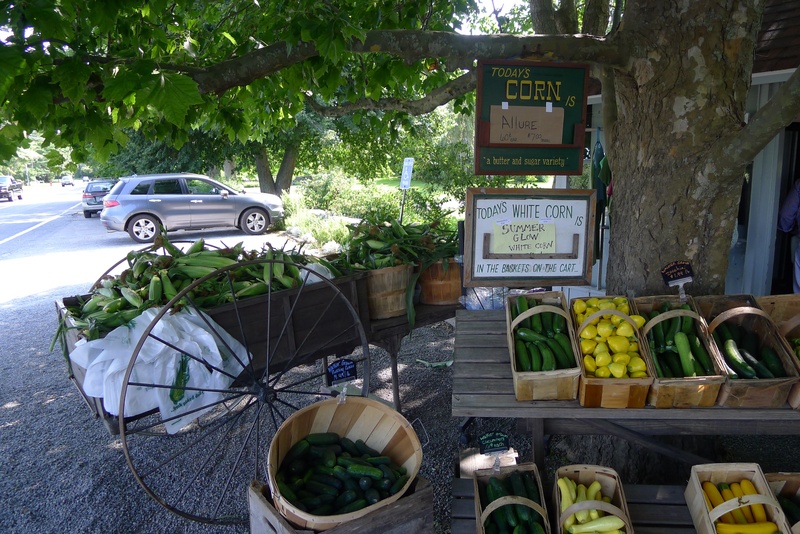 One of the great things to do in the U.S at this time of the year is to stop at the farm stands and see what is on offer, and this time of the year maybe the best thing in is Sweet Corn, you do not just have the price of the corn but also what variety it is, I have had it most days since getting here, you do not find it so good in England along the road sides. While we where there today the farmer came along in his pick-up truck to drop off more, he had a good farmers tan. We had a night with Jack at LongHouse and a great tour of the garden with him, it was great to see a Gourd Pyramid out in the garden as an art form, it was a three sided form, we have a lot of space at Dixter but this would be even too big for us to try, it must look great when all the fruit is hanging on the inside of it. 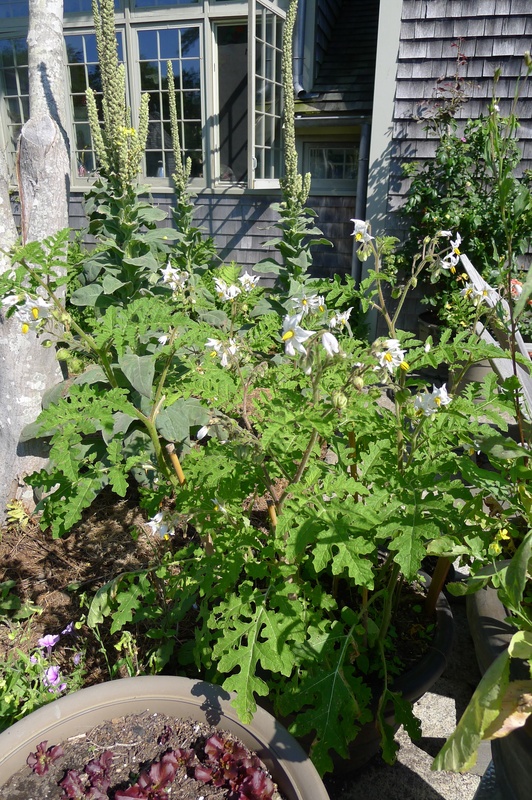 Maybe it is time to bring art to the Vegetable Garden at Dixter. 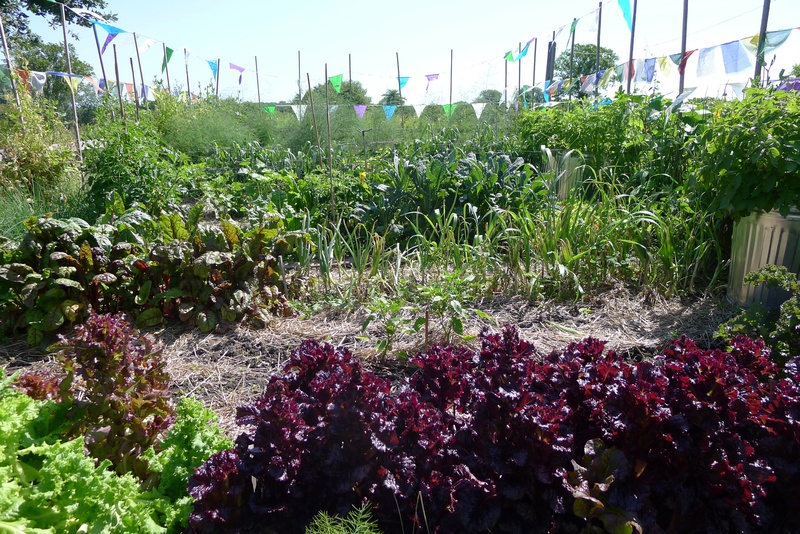 Inside the Prayer Flags is a very well stocked garden with a lot of great summer vegetables, MF has some very good looking red Lettuce, they do seem to do a lot better over here than they do in the U.K, mine seem to run to seed very fast, not too sure what I am doing wrong with them. MF also puts straw under his Tomatoes, I would love to do this but it does seem harder to find straw that has not had chemicals used on it. I was right, the flags are to keep the deer out, so far so good. They also do so much better with Onions over here, I think it is the heavy clay soil we have at Dixter. The symposium went very well yesterday, I got a lot out of it but the star of the show was Margaret Roach, I have not stopped thinking about what she had to say, and question a lot of things, like why it is so important to get organic seeds. If you are going to grow great vegetables why start off with seed that was produced with a lot of chemical….she also works with some very interesting seed produces, I really want to get back to Dixter now and start again with the garden. The Vegetable Garden is going to be at a higher level next year after a day with Margaret Roach, thank you. 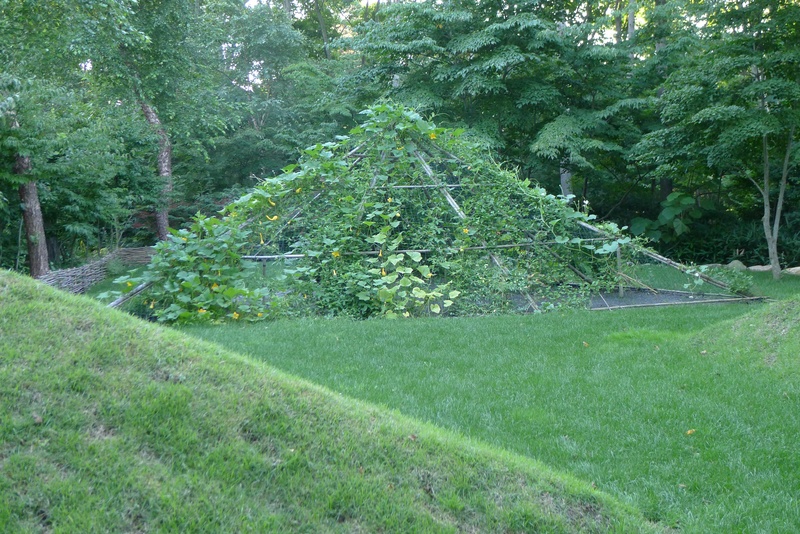 We went to see a friends garden, I had not remember her compost area, not sure how I had not, one so good that the First Lady of the USA had it copied when she saw a photo of it a few years ago. 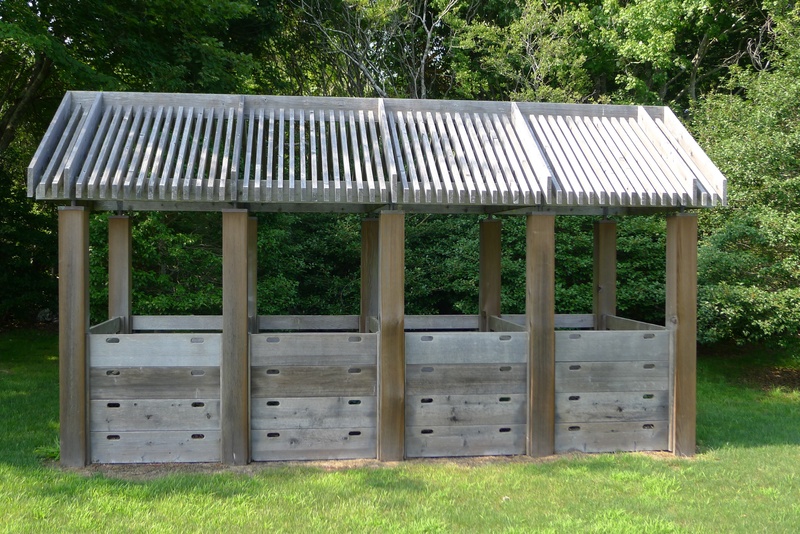 It is still a great work of art that is used today, Berta uses a four bin cycle, of course we at Dixter could not use one on this scale but would be great in many home gardens, as it is often the worst looking part of the garden, a messy compost heap. The symposium is tomorrow and part of my talk is going to be about these new vegetables that we are growing in pots, I want to show people that you can grow very interesting vegetables in pots with not a lot of space, not everyone has the room. There is pot plant that I really love and may grow them in a row up in the vegetable garden next year, the final part of the test is the fruit, is it good to eat, it is a Litchi Tomato (Solanium sisymbriifolium). 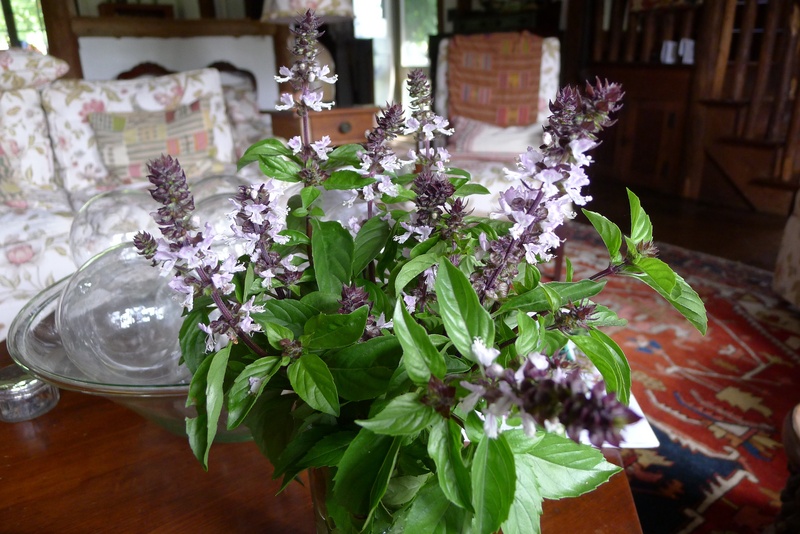 It is great to see it doing so well in a pot in North America, this maybe where it is native to.